A senseless tragedy has just occurred that’s going to leave you heartbroken: Goose has died in Top Gun. Absolutely heartbreaking. Without a doubt, this devastating loss is going to change the third act of Top Gun forever. At approximately a little over halfway through Top Gun, Radar Intercept Officer Nick “Goose” Bradshaw was participating in a standard dogfight engagement exercise when his F-14 Tomcat flew through the jet wash of Iceman’s aircraft, sending his plane into an unrecoverable tailspin. Although he and his partner, U.S. Naval Aviator Pete “Maverick” Mitchell, were able to eject from their aircraft, the ejection launched Goose headfirst into the plane’s jettisoned canopy before it cleared from his path, killing him instantly amid a series of slow-motion action shots. Although at first Top Gun viewers were clinging to the hope that Goose had somehow survived his terrible accident, the music in the movie took on a sad, melancholic tone that left no doubt in anyone’s mind that Goose had, indeed, passed away and the rest of Top Gun would continue on without his joyful smile and kind heart. Goose is survived by his wife portrayed by Meg Ryan and his 4-year-old son portrayed by the twin child actors Aaron and Adam Weiss. Our thoughts and prayers go out to them. Just terrible. 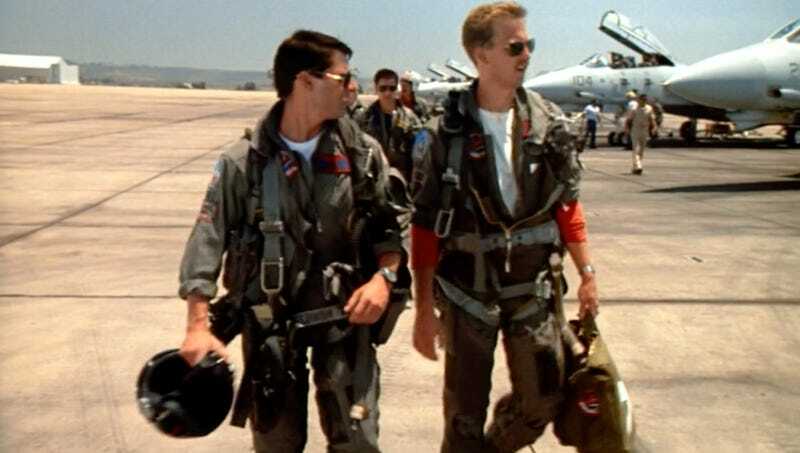 This definitely can’t be easy for Goose’s best friend, Maverick, especially considering how often other Top Gun characters have warned him about flying so recklessly. You have to imagine the guilt of his close friend’s death will be weighing on his shoulders for the rest of the movie. All we can do now is remember all the kind words and hilarious one-liners that the screenwriters of the Top Gun script made Goose say before his screen time came to its tragically early end. Rest in peace, Goose. The rest of Top Gun won’t be the same without you.